The connection between Hollywood and American politics became an increasingly pertinent area of inquiry after the 9/11 attacks. The marriage between the media, its moguls, and the American political system has long affected public life in this country and around the world. There’s no clearer example of this than the politically-driven films Warners Bros. produced before and during World War II. This period exemplifies the sometimes ambiguous relationship between Hollywood’s and Washington’s respective political agendas. 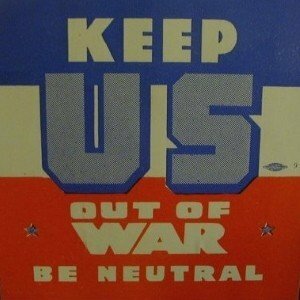 While the Roosevelt Administration still embraced a neutrality policy, the Warners made propagandistic films aimed at swaying public sentiment toward involvement in the war. In fact, Hollywood propaganda was so successful that in 1941, a Senate subcommittee began investigative hearings on war propaganda disseminated by the motion picture industry. 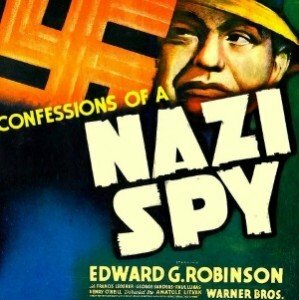 Once the U.S. entered the war, the hearings stopped and Warner Bros. continued their cinematic campaign against the Nazi threat – this time with government support. The Lear Center’s Warners’ War Project sponsored a gallery exhibition, a panel discussion, and a screening of rare materials from the Warner Archives, all focusing on the remarkable anti-facist efforts of the studio. The project also produced a critically acclaimed book, which you can download for free or request a free copy from enter@usc.edu. This project was developed by the Lear Center’s Celebrity, Politics & Public Life project in partnership with the USC Warner Bros. Archives (based at the USC School of Cinematic Arts) and USC’s Fisher Gallery. 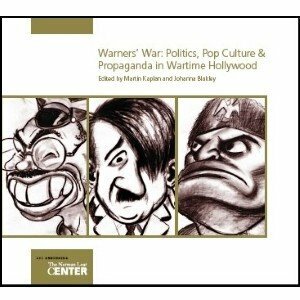 Warners' War: Entertainment or Propaganda?